Cadel Piggott is a seven-year-old genius with a knack for systems. He can do just about anything: disable home security systems, hack into government databases and commit credit card fraud. But when he gets in trouble with the police his parents are forced to take him to a therapist, Dr Thaddeus Roth. But Thaddeus is not who he seems and introduces the young Cadel to a world of genetically enhanced misfits who are determined to take over the world. It is only when Cadel meets Sonja, a disabled girl with a powerful mind that can match only his, that his emotions start to catch up with his intellect. But is it too late? Will the forces of evil subsume even this super-intelligent genius, as his whole world proves to be a house of cards? 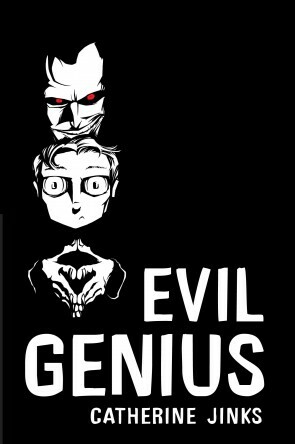 Evil Genius explores the fine line between good and evil in a strange world of manipulation and subterfuge. Catherine Jinks was born in Brisbane in 1963 and grew up in Sydney and Papua New Guinea. She became a writer because she loves reading, and also loves history, films, TV and gossip. She has a BA (Hons) in medieval history and gets her ideas from everywhere, particularly good science fiction films. Catherine writes whenever she gets a moment and could write for eight hours straight if she had the chance. She lives in the Blue Mountains in NSW and is married with one daughter. The author of many award-winning, popular books for children and adults, her most recent books for children include the much-awaited Pagan’s Daughter.